Group sessions - Eco-Logic Yoga Retreat. You can just come by and participate in our group sessions, or you can book accommodation for one or more days and join the group sessions as you like. Twice a day, in the early morning and late afternoon Eco-Logic Yoga organizes walk-in yoga lessons for guests, volunteers and visitors . 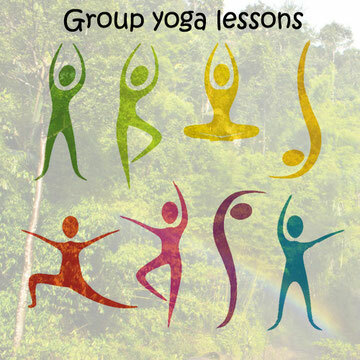 The lessons are organized by a certificied yoga teacher. Click on the button if you like to book accommodation. You can just come by, book a private session, or you can book accommodation for one or more days and book private sessions as you like. Private yoga lessons can be booked on times that suits you best. Sessions are done by a certified yoga-teacher. *) Lesson fees are donated to the Thai Child Development Foundation.